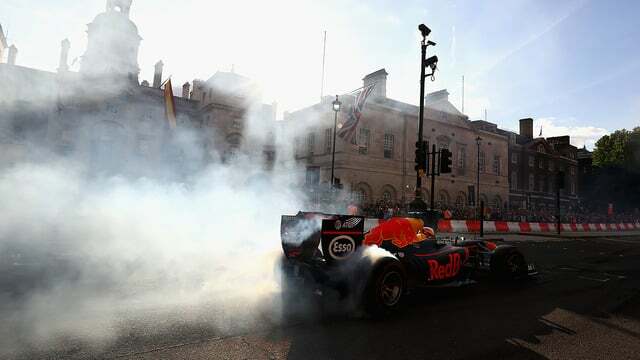 It’s not a sight you see very often, but on the Wednesday before the British Grand Prix, nineteen drivers turned up for an event in London, with several cars participating in a street demo around the iconic Trafalgar Square. There was a stage, where musical performances took place, interviews with drivers occurred, and Valtteri Bottas sprayed the crowd with champagne. Almost all of the drivers were on hand to drive their cars, walk through the streets and shake hands with the crowd, or appear on stage. Nico Rosberg and Jenson Button also made an appearance. It was live-streamed online and on TV, and, whilst not perfect, it generally did a great job to get everyone excited for the weekend ahead.